Fourth and final coin in the Landmarks of Britain 4-coin series from The Royal Mint. The third coin in the Landmarks of Britain Series to feature The Royal Mint’s new guilloché obverse design. Reverse: Features an image of Buckingham Palace. The fourth and final coin in the Landmarks of Britain bullion series from The Royal Mint features the famous Buckingham Palace. 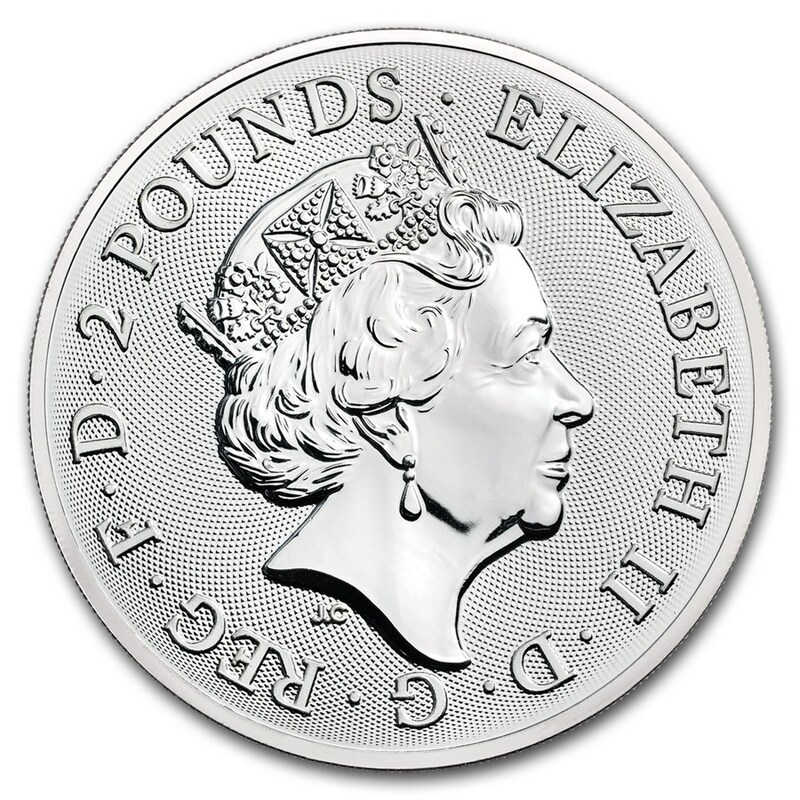 The home of the British monarchy, this significant London landmark is commemorated in .999 fine Silver. The limited mintage series, Landmarks of Britain, features four coins with contemporary designs depicting major locations within the United Kingdom. This limited mintage 2019 Buckingham Palace coin is an ideal addition to any bullion collection. 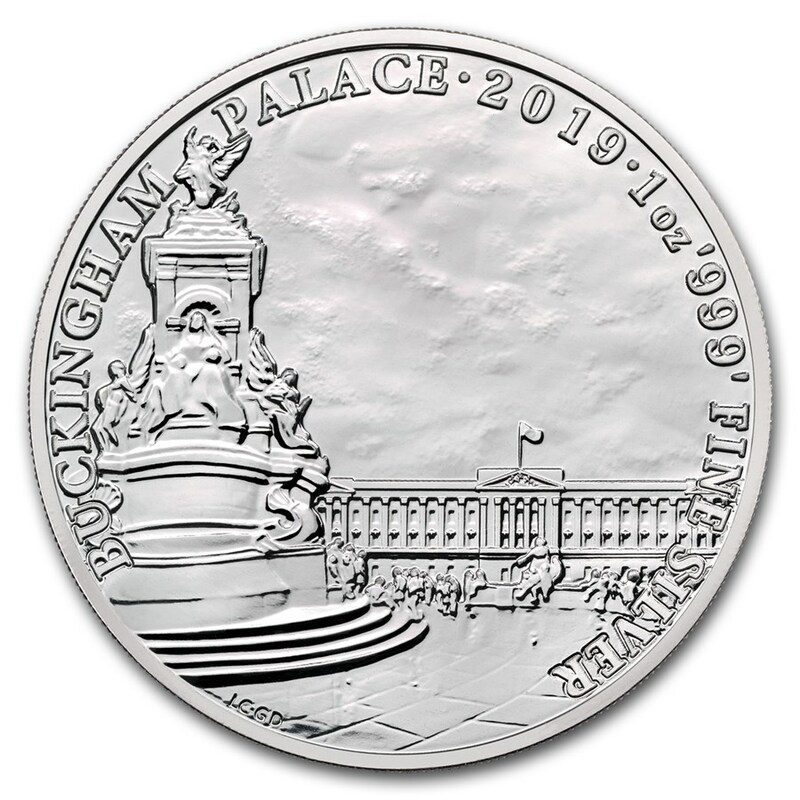 Add this 2019 1 oz Silver Landmarks of Britain Buckingham Palace coin to your cart today! The Landmarks of Britain series by The Royal Mint features four iconic landmarks in the United Kingdom, in 1 ounce of .999 fine Silver. Each coin also has a limited mintage, adding to the series’ collectibility. The coin designs have a contemporary interpretation of these iconic buildings and landmarks. The first in the series features Big Ben, the nickname for the great bell that is housed inside Elizabeth Tower. The second features Tower Bridge, and third release features Trafalgar Square. The fourth and final release celebrates Buckingham Palace. Buckingham Palace is only fitting to be the last coin in the Landmarks of Britain series, due to its significance of being the London residence and headquarters of the United Kingdom monarchy. While The Queen holds many official events and receptions at the famous landmark, the State Rooms are open to visitors for touring in the summers. Buckingham Palace has 775 rooms, with 19 State rooms, 52 Royal and guest bedrooms, 188 staff bedrooms, 92 offices and 78 bathrooms. The palace is also the center and focal point for significant national celebrations.